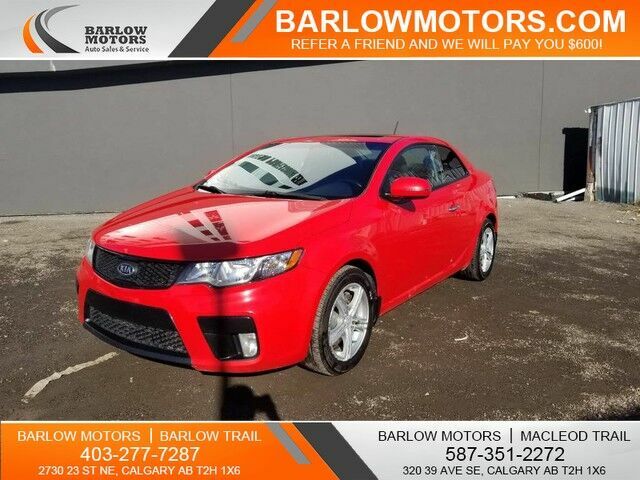 Contact Barlow Motors today for information on dozens of vehicles like this 2013 Kia Forte Koup SX. Just what you've been looking for. With quality in mind, this vehicle is the perfect addition to take home. You've found the one you've been looking for. Your dream car. This is the one. Just what you've been looking for. The look is unmistakably Kia, the smooth contours and cutting-edge technology of this Kia Forte Koup SX will definitely turn heads. Come see Barlow Motors' quality used cars, trucks, SUVS, vans, luxury vehicles and more. Apply today, drive today. Financing available on all pre-owned vehicles!